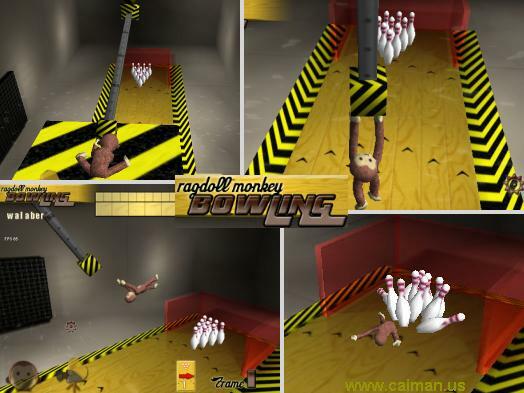 Caiman free games: Ragdoll Monkey Bowling by Walaber. A nice and fun 3D bowling game, but with a rag doll instead of a bowlingbal. Read the readme.txt included in this game for more detailed info about how to play.